The South Korean National Boxing Championships for the women and men athletes was held in the Cheongyang County Gymnasium. South Korea’s experienced woman boxer Bak Cho Rong, their 21-year-old young hope Kim Won Ho and their veteran male athlete Shim Hyun Young were the bests in the South Korean National Championships. The event was the 72nd edition for the elite boxers and a selection competition for their next international competitions. South Korea won medals in all of the previous AIBA events in the recent two years including one gold medal in Guwahati where Im Ae Ji crowned at the women’s youth lightweight (60kg) more than year ago. The country is in rising stage once again and the South Koreans are ready to win medals also in 2019. 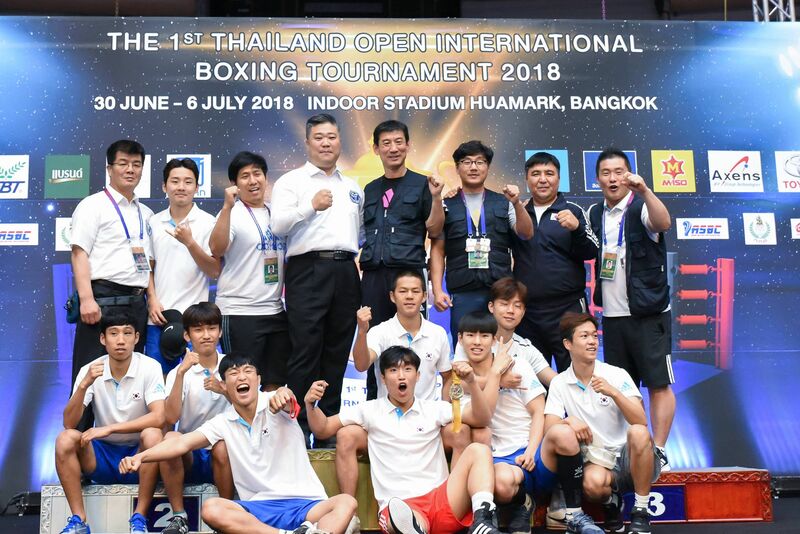 Bak Cho Rong attended in the recent three editions of the AIBA Women’s World Boxing Championships at the light flyweight (48kg) but the 24-year-old boxer moved up to the Olympic flyweight (51kg) in their National Championships. Bak was too strong for Kim Min Jeong in the final and celebrated her next national title in South Korea. A 23-year-old boxer, Ko Hyeon Young, who represented South Korea in several international competitions and following that she moved up to the lightweight (60kg), impressed against Kwon Su Jin in the final. The third women’s final was won by Kwon Hee Jin who celebrated her gold medal at the middleweight (75kg). 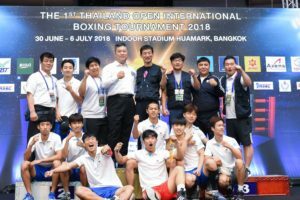 A 20-year-old young talent Kwak Beom Seo became the first male boxer who won a title at the 72nd edition of the South Korean National Championships in their traditionally strong light flyweight (49kg). Another 20-year-old hope Yoon Ju Seong advanced to the final of the men’s flyweight (52kg) at the very first time and defeated Kang Dong Hun in the absence of their No.1 Kim In Kyu. Kim Won Ho started his career in the national team at the light flyweight (49kg) and moved up to the bantamweight (56kg) in the recent months. Kim, who attended in AIBA and ASBC events during his career, was too smart for Park Seung Ri in their final. Lee Jin Seok claimed bronze medal in the last edition of the National Elite Championships which he changed into gold this time following his success over Kim Doo Rae who celebrated his next silver medal in South Korea. South Korea’s veteran boxer Shim Hyun Young joined to the national team still in 2009 and claimed medals in several international events. The World Military Games silver medallist Shim returned to our sport in 2017 and defeated Kim Chang Yeop in the final of the welterweight (69kg) using his strong tactical skills. Park Jin Hoon had successful junior career but as an elite boxer this new national title is his highlight which he earned in the final of the middleweight (75kg) where he was too strong for Jeong Ju Hong. Hong In Ki earned silver medal in the last edition but moved up to the light heavyweight (81kg) to get a national title. Hong has got international experiences as well and those contests paid off when he met with Kil Yeong Jin in the final. The heavyweight (91kg) gold medal was captured by 25-year-old Lee Dong Yoon who was slightly better in the final than a younger opponent Jeong Tae Wook. Jeong Ui Chan started his boxing career as an adult but the 33-year-old boxer proved his power in the final of the super heavyweight (+91kg) which he won against Lee Kye Hyeon.